Home » News Blog » “Architectural Design with SketchUp” is Now Available! 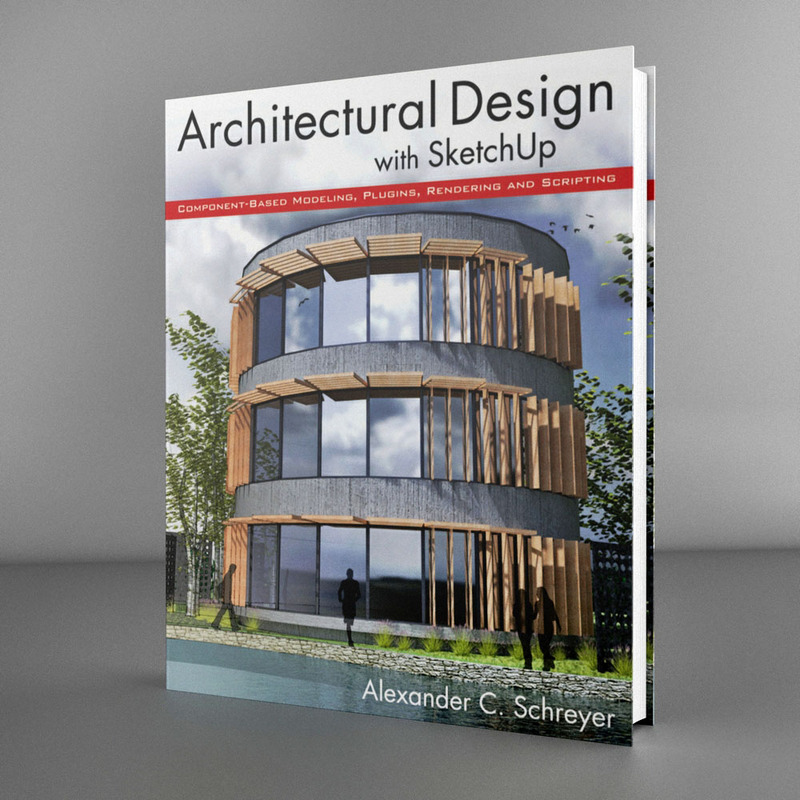 Starting today, my book “Architectural Design with SketchUp” is now available from all of the online booksellers. You can find the links to Amazon & Co. in the sidebar of this page. Alternative to the paperback edition, E-Book and Kindle versions are also available. Brick-and-mortar bookstores such as Barnes & Noble will likely start carrying the book within a week or two. Of course, if you first rather want to find out what this book is all about, check out this page or view sample pages on Amazon.com or Google Books. I hope you all enjoy the book and that it helps you create the great designs you are dreaming of! Please remember that this companion site is always available for comments, questions, discussions and show-and-tell for your work. You can find out more about what is possible on the About page. Also, I will be posting more videos and other freebies in the near future, so check back often.